ECOMM CURRENT OPENINGS: Opening for Back Office Coordinator in a Travel Agency in Ballygunge. 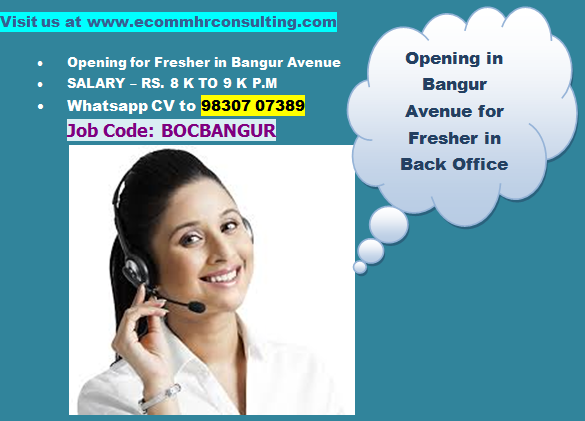 Opening for Back Office Coordinator in a Travel Agency in Ballygunge. Experience : Fresher Can apply. Age : In between 22 to 32 Years. Working Hours - 11 a.m to 7:30 p.m.
Interacting with the clients over phone. Guiding them about the packages.